Let us assume that we executed an automated functional test and we got the following result. Step 6 in the test failed. We need to submit this bug to Team Pulse. 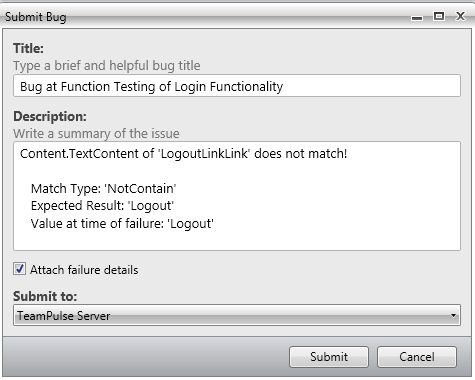 To submit bug to Team Pulse double click on Red Cross and you will get Step Failure Details dialog box as shown in following image. 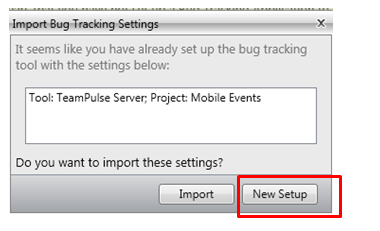 If you have already configured TeamPulse or TFS in any of the other Test Project then Test Studio remember that and prompt you that whether you want to import previous setting or you want to go with New Setup. Let us go ahead with New Setup for that click on New Setup. 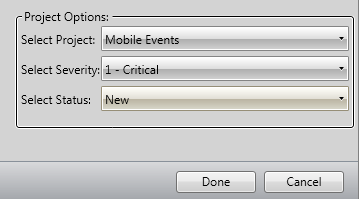 After clicking on New Setup now you will get below dialog box. 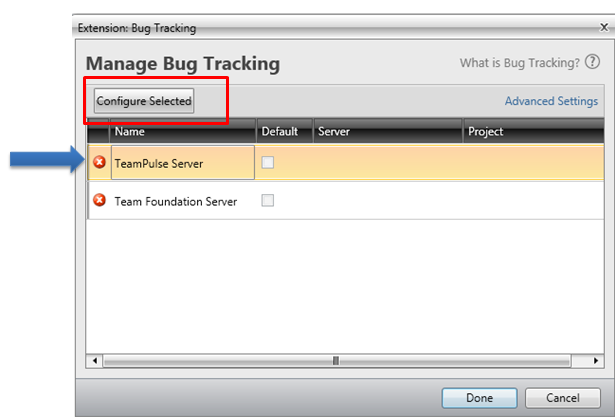 Select TeamPulse Server and click on Configure Selected. 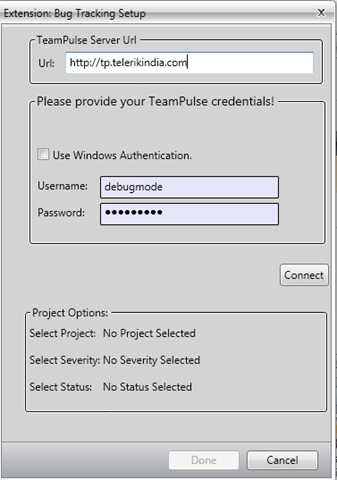 Username and Password to authenticate to Team Pulse. 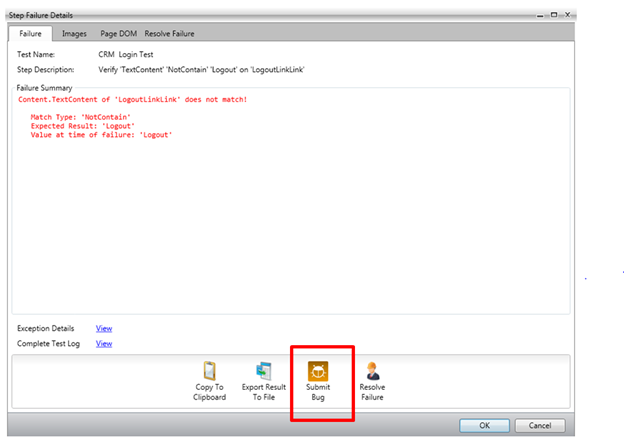 After providing credential you need to click on the Connect button. After successful authentication you will get Project to select. 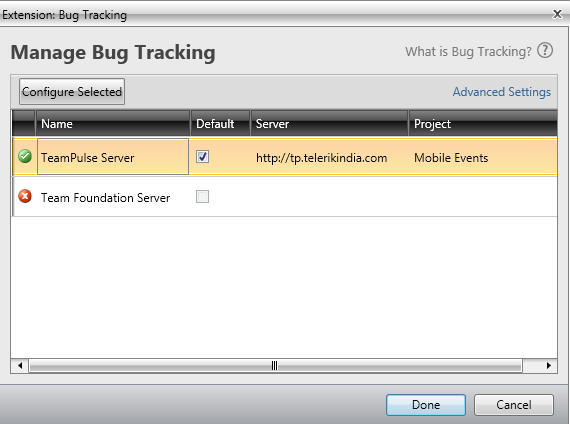 Select Project, Severity and Status from drop down. At last click on Done button. If you have successful connected to Team Pulse, you will get Green Right icon next to TeamPulse. Check on check box to make it default and click on Donebutton. 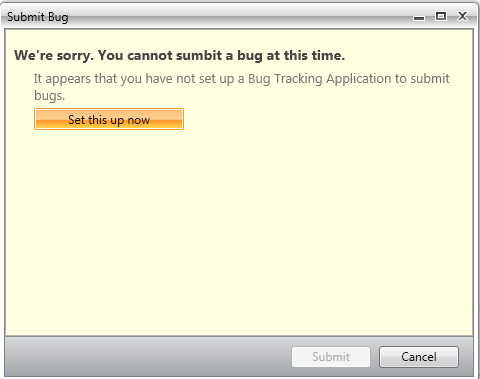 Next you will be prompted to dialog box to submit the bug. Before submitting bug, you can Edit Title and Description of the Bug. If you want to submit files related to Failure details then check the check box Attach Failure details. To submit the bug, click on Submit button.